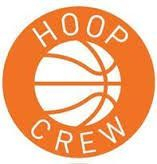 Hoop Crew, LLC was launched in August of 2013 by co-owners Paul Seaver and Greg Lewis. The company begin as the original home of the "Wally" Seaver High School Invitational and FightALS Youth Holiday Showdown -- high school level and youth travel basketball tournaments, respectively -- used to raise awareness for Lou Gehrig's Disease (ALS). Since its launch, the Hoop Crew has grown to include all aspects of in-season and off-season basketball offerings for players of all ages. The company now offer year-round events, camps, clinics, personal training and AAU. The Hoop Crew and its staff take pride in offering products and services that focus directly on skill-development for younger players and team concepts at all levels. Browse through our website to learn more about the Hoop Crew, its programs, its coaches and its offerings! Hoop Crew, LLC has been an excellent off-season experience for my program. The tournaments are well organized, communication is always professional and efficient, and the games are always competitive. My team has taken tremendous progressive steps during each Hoop Crew tournament we have participated in. As a first year coach with The Prout School, I found the Wally Seaver Tournament invaluable in our team building and helping defining who we are. Regardless of wins and losses we came out of it a better program and saw a change in our confidence immediately during summer league, which we ultimately gained from the tournament.